Beautiful photo. What kind of flowers are they? Thank you! 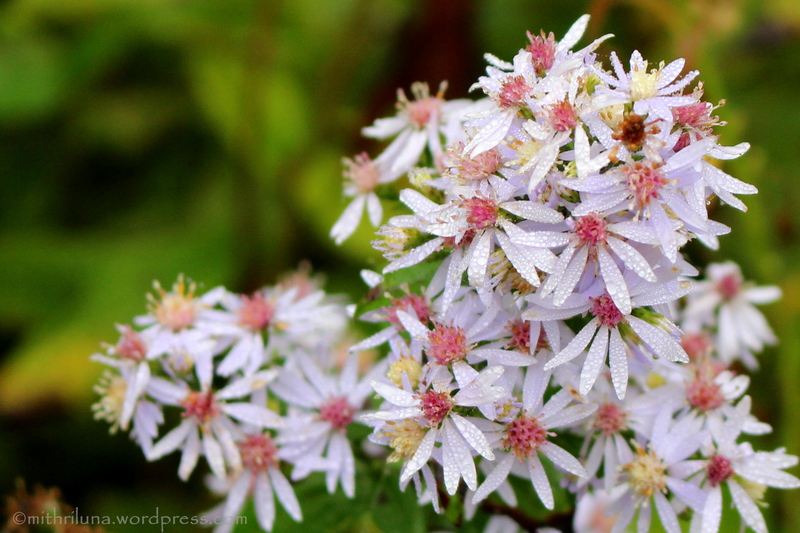 I think they are a type of wild aster. What a beautiful subject. The dew looks like glitter, all sparkly. Nice!